Which hiking gear sources can you trust? Who delivers the goods, quite literally? Which businesses are easy to deal with when you're hunting for backpacking gear sources? What are the names of top hiking gear manufacturers? Do any of them really understand what it means to hike in a female body? Let's get started answering them. On the lookout for great hiking gear sources! "Best" hiking gear sources depends on what you're looking for in hiking gear. Do you want the latest cutting edge gear? Or would you prefer tried and true, field tested, reviewed and revised gear? Is used gear something you're interested in? Are you above or below average in terms of height? Are you brutally hard on your gear, or only mildly abusive? Are certain brand names important to you? Do you want a bargain? Your answers to these hiking gear questions give you a personal profile as a hiking and camping gear buyer. And you won't be surprised to hear that there's no ONE GRAND SOURCE of hiking gear. The best you can hope for is a list of reliable hiking gear sources. Then you can shop around for the best set of features within your budget. And you can build your own list of hiking gear sources. 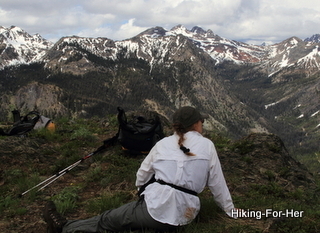 Here's Hiking For Her's short list, with detailed reasons, to get you started. One place I've had great luck with over the years (as in since 1978) is REI Co-op, a well established, respected gear cooperative based in Seattle, WA. They carry top rated gear, and if it's new on the market, you'll find it there first. REI offers gear in a wide range of sizes, too. You'll need to pay a one-time low membership fee (it's been $20 US forever), but you get a rebate each year on the amount you spend on hiking apparel, gear and footwear. Normally, it's around 10%, which is a great little windfall in March of each year. It's usually accompanied by a discount coupon or two, making it super easy to find a great deal on outdoor gear. Take a look at their camping and hiking equipment selection here. Use their "compare" feature to look at only the items you want to zero in on. They mark their gear down as the seasons change, so watch for fair prices to get even more amazing. And their "outlet" gives you some fantastic options on name brand gear that is discounted year round. Over the decades this cooperative never lost its roots, always focused on the outdoor experience rather than a corporate persona. There are at least 14 membership benefits just waiting for you, making that one time $20 investment seem like a brilliant move. They have amazing sales, and they're worth keeping an eye on for end of season closeout deals. Looking for a dose of humor with your hiking gear? They deliver! Backcountry has been a reliable source of hiking and camping gear, all year round, since 1996. Their outdoor clothing, footwear, backpacks and everything else you need for the trail are top notch, because the company values safety and comfort. If you love winter sports like skiing, or pursue other outdoor loves like biking, check out what this company can offer to get you geared up when snow covers the trails. This company, which carries the top brands and has been around since 1995, has a great name, don't you think? If you're into other outdoor sports beyond hiking, this is the place to shop. They were founded by avid kayakers, and have an amazing collection of gear for water sports. So if you packraft, or do dayhiking on a rafting trip, check them out for your water plus land gear. What I like about Outdoor Play is their surprising sales prices, along with their wide range of options in each category of hiking gear. You can type a question into a chat box on the right side of each page, and get a real live person to engage in a conversation about the gear you're considering. Because this company is run by staunch outdoor enthusiasts, expect their gear selection to be realistic and reliable. As each hiking season unfolds, I find myself more and more interested in lightening up the weight of my outdoor gear. In fact, I've made a vow to go lighter with one major piece of hiking gear each year, with an end goal of replacing all of my older technology with lightweight options. Ultralight Adventure Equipment (ULA) is supportive of this idea, featuring durable backpacking and hiking equipment hand sewn in the United States. Their website is simple and easy to navigate, with minimum distractions. And be sure to check out their Rain Kilt. You won't find this unisex rain skirt and cover up anywhere else! My gear reviews are a good place to start on your quest for the best hiking gear. I only recommend the best stuff for the trail, because just like you, I don't like to waste my money or time. Feel free to contact me with your question about gear sources. If you're curious about the types of questions I get from other hikers, visit the Hiking For Her hiking questions archive. Some of the links on this website are affiliate links. When you purchase great hiking gear through the links, you pay nothing extra. 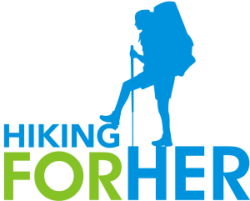 But a small percentage of your purchase price flows to Hiking For Her. And it's used to keep the best hiking tips flowing freely on this website. Thanks for your support of HFH's mission to get everyone out on the trails in safety and comfort.